Stephen McIntyre is known nationally and internationally as one of Australia's most eminent pianists and teachers. After initial studies in Melbourne, Stephen McIntyre worked in France and Italy with Nadia Boulanger, Arturo Benedetti Michelangeli and Guido Agosti. He has performed as soloist and chamber music player in many countries, and was Head of the Piano department at the Victorian College of the Arts in Melbourne from 1977 until 1992. He is particularly known for his performances of French piano music, and his cycle of the complete piano music of Ravel won the National Critics Award. Stephen McIntyre has performed as concerto soloist with all major ABC orchestras; he has toured extensively with Russian violinists Valery Klimov, Viktoria Mullova, and Nelli Shkolnikova, and the renowned Dutch cellist Anner Bylsma. 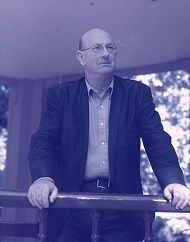 Stephen McIntyre was a founding member of Australian Chamber Soloists, Principal Artistic Advisor for Musica Viva during 1995/96, and Director of the chamber music program for the Melbourne International Festival from 1989-99. Stephen McIntyre is Associate Professor in the Faculty of Music at the University of Melbourne. In 2003, he was awarded the Sir Bernard Heinze Prize for distinguished contribution to music in Australia. 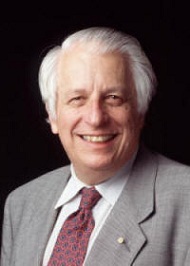 Gustav Nossal was born in Austria in 1931 and came to Australia in 1939. In 1965 he was appointed Director of The Walter and Eliza Hall Institute of Medical Research, a position he held from 1965-1996. Sir Gustav is currently a consultant for the World Health Organisation and the Bill and Melinda Gates Foundation. He is also Chairman of The Global Foundation Advisory Committee. He was Deputy Chairman of the Council for Aboriginal Reconciliation from 1998 to 2000. 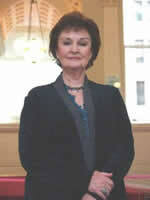 He was knighted in 1977, made a Companion in the Order of Australia in 1989 and appointed Australian of the Year 2000. Professor Yean Leng Lim, an Australian citizen, born 19th January 1948 in Singapore, graduated from Monash University with the degrees of BMedSc, MBBS and PhD. He was awarded the Inaugural Monash University Distinguished Alumni Award in 1993 and made a Member of the Order of Australia in 1997 for his contributions to Education and Medicine in China and Australia. After spending 5 years serving as the Director of National Heart Center and Chairman of National Medical Research Council in Singapore, Professor Lim has returned to Melbourne recently to take up his new appointment as Director of Cardiovascular Therapeutics at the Western Health and a Professorial Fellow at the University of Melbourne. Professor Lim is a leading cardiologist in the Asia Pacific region, serving as Permanent Secretary the Asia Pacific Society of Interventional Cardiology (APSIC). Prof. Lim has pioneered coronary intervention in China since 1986, and helped to establish numerous coronary intervention units throughout China. In 1995, he founded the Xiame University Medical College and was appointed its inaugural Dean until 2000. 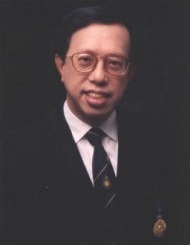 At the age of 13, Prof. Lim is the youngest graduate of Nanyang Academy of Fine Arts in Singapore and later served as the Chairman of its Board of Directors. He was awarded an Associate Fellowship of the Royal Photographic Society of United Kingdom and published his photographic monograph entitled "Eastern Eye Western Light" in 1996. In addition to visual arts, Prof. Lim is also a Patron of The Musical Society of Victoria and Foundation President of the Melbourne Chinese Sacred Music Association. Ronald Farren-Price's international career began with his recognition by the legendary pianist, Claudio Arrau, under whose guidance his distinctive style of playing matured. He has appeared both in recital and as concerto soloist in the major concert halls of some forty countries. Among his noted appearances are those at Queen Elizabeth Hall London, Carnegie Recital Hall New York, Tchaikovsky Hall Moscow, Philharmonic Hall St Petersburg, Musikhalle Hamburg, Brahmsaal Vienna, Teatro Colon Buenos Aires, Sydney Opera House and the Melbourne Concert Hall. He maintains a highly active touring schedule from his home base in Melbourne making three or more tours to perform, teach or adjudicate each year. Highlights in 2005 are a recital in the Chicago Institute of Art and in Spain. In Melbourne his annual concert in December to celebrate Beethoven's birthday has become something of an institution. Ronald Farren-Price's unique success as an Australian instrumentalist has been his twelve tours of the former USSR where he played to capacity houses in the finest musical centres. He is an Honorary Professor of the Tianjin Conservatory of Music and was a pioneer in bringing Australian performance to China and to South-East Asia, including Vietnam where he gave Vietnam's first televised concert in the Hanoi Opera House. In addition to his career as a concert pianist, Professor Ronald Farren-Price is a Principal Fellow of the University of Melbourne where he teaches many of Australia's finest young pianists. He has also been Director of the Australian National Academy of Music. His recordings are on the Move label. Ronald Farren-Price was awarded the Order of Australia in 1991 for services to music. The Musical Society of Victoria congratulates our patron Ronald Farren-Price on being granted an Honorary Doctorate of Music by The University of Melbourne.